Shoulders are a common area of injury. They are the linchpin of many movement functions and control, that once pain sets in, it can make day-to-day activities extremely painful and difficult to do. Simple tasks such as driving your car, working on the computer or washing your hair all become a challenge. There are many possible bones, ligaments, and nerves in that little shoulder capsule that can get damaged, however, this doesn’t necessarily mean that any of them are the cause of your symptoms. As you can see above, there are many things that can be the cause of your pain (and that’s not the full list!). Shoulder injuries are complex and often it is about putting may pieces of the puzzle together to find the cause and solution. It takes many years of training and experience for a Physiotherapist to be able to accurately assess and diagnose where the cause of your pain is coming from. First, we need to understand how it moves. Similar to a waltz, the shoulder has a dance partner – the shoulder blade. They move together following what we call a scapulohumeral rhythm (scapular being the shoulder blade, humeral being the shoulder joint). The “classic” rhythm is a 2:1 ratio, meaning that for every 120 degrees the shoulder joint moves, the shoulder blade will rotate 60 degrees upwards with it. However, the ratio changes depending on where the shoulder joint is. There are many muscles that allow the shoulder blade to move. These muscles keep the movement in sync with the shoulder, including the upper trapezius, lower trapezius, serratus anterior. The shoulder bone’s connected to the… Issues with the shoulder usually involve more muscles and structures than just the shoulder. It could be the thoracic, neck, back or even muscle spasm. Injuries that involve your muscles would normally present as a movement impairment, the inability to move the shoulder in its full range of movement. This may be due to pain or stiffness. How about the shoulder joint itself? The pain experienced, often attributed to the shoulder joint, is described as a pinching feeling or “very deep inside”. The shoulder joint is a ball and socket. So it’s important to have structures that are strong enough to hold it together, to make sure it does not pop out or roll off the surface. Putting it all together It is often difficult to pinpoint the exact structure that is the culprit of discomfort. The joint works on balance and equilibriums. If one structure moves out of line, other structures are affected as well – spiraling into a chicken and egg cycle. Therefore, if you have shoulder pain, it is important that you seek expert Physiotherapy treatment. A simple massage will not resolve the underlying causes affecting your pain. Shoulder pain often worsens without effective treatment. It’s important to work together with your physiotherapist to understand and break that cycle. Only then can you move into the recovery stage. When to use cold therapy If you have had a recent injury (within the last 48 hours) where swelling is a problem. Apply an ice pack, frozen gel pack or even a bag of frozen vegetables wrapped in a towel to the affected area. You should never apply a frozen item directly to the skin, as it can cause damage to the skin and tissues. Apply cold treatment as soon as possible after an injury. Use cold therapy for short periods of time, several times a day. Ten to 15 minutes is fine, and no more than 20 minutes of cold therapy should be used at a time to prevent nerve, tissue, and skin damage. Elevate the affected area for best results. When to use heat therapy If you are experiencing joint or muscle pain or stiffness. Minor stiffness or tension can often be relieved with only 15 to 20 minutes of heat therapy. Moderate to severe pain can benefit from longer sessions of heat therapy like warm bath, lasting between 30 minutes and two hours. Local therapy is best for small areas of pain, like one stiff muscle. You could use small heated gel packs or a hot water bottle if you only want to treat an injury locally. 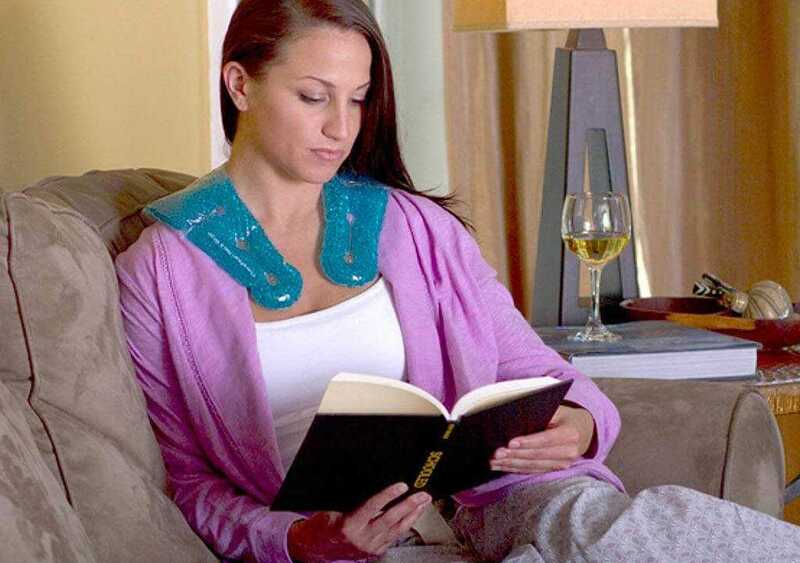 Regional treatment is best for more widespread pain or stiffness, and could be achieved with a steamed towel, large heating pad, or heat wraps. Full body treatment would include options like saunas or a hot bath. When NOT to use cold or heat packs: If you have areas of skin with open wounds or rashes. If you have areas of skin with poor sensation to heat or cold. If you have areas of the body with known poor circulation. If you have diabetes. If you have an infection under your skin. If the treatment hasn’t helped much with regular use, or makes your pain worse, see your doctor to discuss other treatment options. It’s also important to call your doctor if you develop any bruising or skin changes while using cold or heat therapy.